Good afternoon, space fans! It's been another stellar week in space. 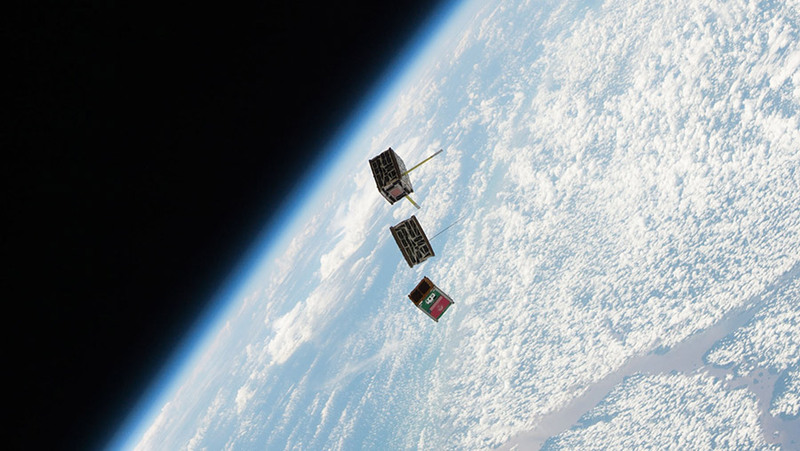 Satellites Lite: two little Cubesats head out to work in the atmosphere. On Monday of last week, the station achieved the major milestone of having traveled for 100,000 orbits. This means that over the past 17 years, the space station has flown some 2.6 billion miles in laps around the Earth. That's nearly the same distance as a trip to Neptune, or 10 round trips to Mars! During those 100,000 orbits, almost 2,000 different science experiments have been completed. This week showed no signs of that slowing down! 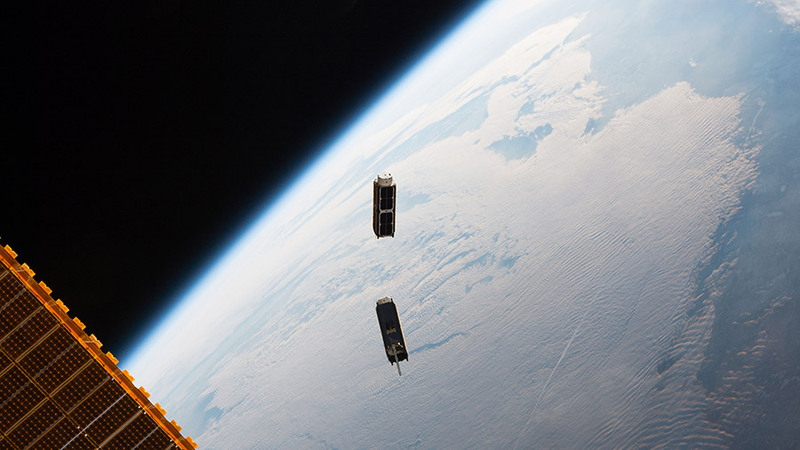 A fleet of mini-satellites called Cubesats have been deployed from the Kibo module, and have entered the upper atmosphere to perform various tasks. Some of the satellites aid communications technology (in space, as well as for landlubbers and seafarers down below), while others study weather patterns around the world. Some are even built by students...the future is looking good! In other space science news, this week the astronauts conducted more research on bone density loss in space. By examining mice who live on the station, the astronauts were able to see if a new antibody, developed on earth, could prevent future bone and muscle-density loss on long-term space missions. NASA astronaut Jeff Williams also did an ultrasound scan of his leg to see how his own bone and muscle density have been holding up in space. The astronauts keep in excellent physical shape via the Sprint study, which has them maintain a rigorous exercise program while in orbit. Do you want to share your love of space with others? Want to help fellow gravity-bound humans experience the thrill of seeing the station operating in real-time (even if it's from really far away?) Embed this widget on your website and have folks from any region on earth know when the station will next be swooping over their heads! That's all for this week, space fans. We'll see you next Sunday with even more excellence from orbit. Watch this space! but Wednesday was one of those days! Thank you for this valuable information.Your website is brilliant for all the space enthusiasts and I would recommend it to all my space fan friends. I love space.SO mesmerising yet so dauting and scary at the same time.